Sept. 28 — An insecticide used in genetically modified (GM) crops grown extensively in the United States and other parts of the world has leached into the water of the surrounding environment. The insecticide is the product of a bacterial gene inserted into GM corn and other cereal crops to protect them against insects such as the European corn borer beetle. Scientists have detected the insecticide in a significant number of streams draining the great corn belt of the American mid-West. The researchers detected the bacterial protein in the plant detritus that was washed off the corn fields into streams up to 500 metres away. They are not yet able to determine how significant this is in terms of the risk to either human health or the wider environment. “Our research adds to the growing body of evidence that corn crop byproducts can be dispersed throughout a stream network, and that the compounds associated with genetically modified crops, such as insecticidal proteins, can enter nearby water bodies,” said Emma Rosi-Marshall of the Cary Institute of Ecosystem Studies in Millbrook, New York. GM crops are widely cultivated except in Britain and other parts of Europe. 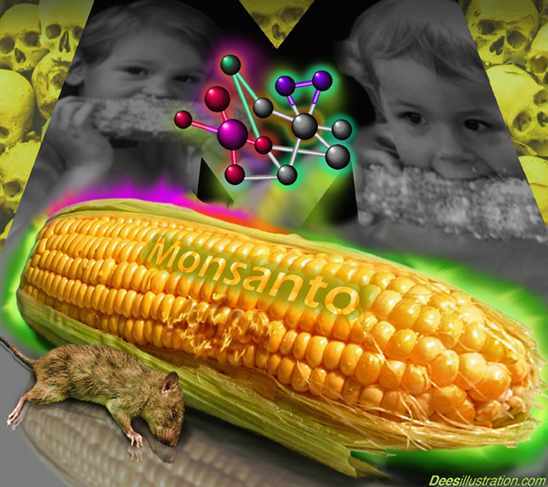 In 2009, more than 85 per cent of American corn crops were genetically modified to either repel pests or to be tolerant to herbicides used to kill weeds in a cultivated field. The GM corn has a gene from the bacterium Bacillus thuriengensis (Bt) inserted into it to repel the corn borer beetle. The Bt gene produces a protein called Cry1Ab which has insectidical properties. The study, published in the journal Proceedings of the National Academy of Science, analysed 217 streams in Indiana. The scientists found 86 per cent of the sites contained corn leaves, husks, stalks or cereal cobs in their channels and 13 per cent contained detectable levels of the insectidical Cry1Ab proteins. “The tight linkage between corn fields and streams warrants further research into how corn byproducts, including Cry1Ab insecticidal proteins, potentially impact non-target ecosystems, such as streams and wetlands,” Dr Rosi-Marshall said. All of the stream sites with detectable insecticidal proteins were located within 500 metres of a corn field. The ramifications are vast just in Iowa, Illinois, and Indiana, where about 90 per cent of the streams and rivers – some 159,000 miles of waterways – are also located within 500 metres of corn fields. After corn crops are harvested, a common agricultural practice is to leave discarded plant material on the fields. This “no-till” form of agriculture minimises soil erosion, but it then also sets the stage for corn byproducts to enter nearby stream channels.